The Tidy Books bookcase was designed to work for children and to be practical, to enable them to explore their books independently.The alphabet on the bookcase was added so that children could learn while playing casually and gradually. The Tidy Books bookcase displays books to their full effect, giving them a central place in the home. 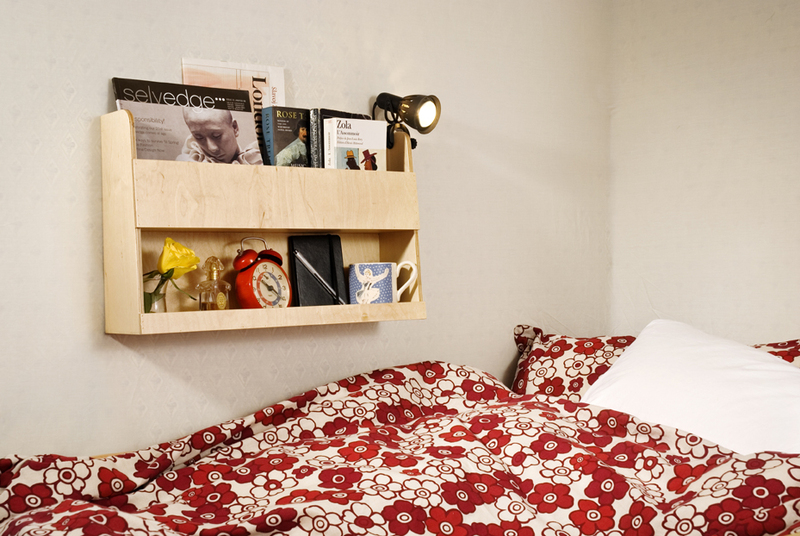 The Tidy Books line also includes the Bunk Bed Buddy™ and the Tidy Box™, all designed to fulfil a practical need, look good, and be a lasting addition to the family home. Our children both have a great love for book's, though there was one issue with our ever growing library. Every time one of the kid's would attempt to pick out a story, they would empty the shelves onto the floor looking for the book's that they wanted to read....and there they would stay until I came along to pick them up. One mom who had the same issue with her little one's, designed a delightful (sturdy) solution to that problem! The Tidy Books Case. 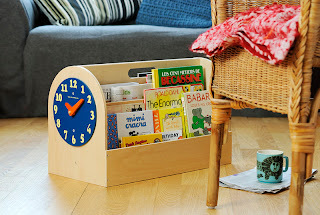 The Tidy Books Book Case allows little one's to see the covers of their favorite story's displayed before them, making it simple to pick out the book's that they want, without emptying the shelves. Now that the books are on clear display, they read their books more frequently throughout the day than they used to with our old traditional book case. Adding to the value, the reversible panels (that display the Alphabet) can easily be turned as they get older, making this a piece of furniture that can truly grow with my children. Help to inspire your children's love of reading, with the innovative design of the Tidy Books Bookcase. Inspire your children's love of reading & books! 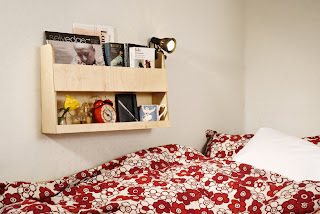 One Lucky Reader will receive a Tidy Books Book Case, in their choice of finish (RV $199). Follow Tidy Books on FACEBOOK - and leave a comment letting us know you've done so. Entry to this giveaway ends on July 15, 2011.Winner's are chosen randomly through random.org.The winner will be announced within 7 days of the giveaway ending and contacted through email. The winner will have 48 hrs. to respond or another winner will be chosen. The Tidy books bookcase is exactly what I needed. My kids accumulated so many books over the years and it would be nice to keep thing tidy up. 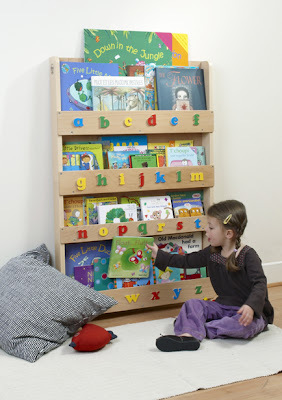 I would like the pink Tidy Books bookcase with the ABC letters going across the front. I also like the natural wood finish too! Follow Tidy Books on FACEBOOK and I am a GFC follower! I follow Tidy Books on Facebook and I am a public follower via GFC. 1 I follow Tidy Books on Twitter. 2 I follow Tidy Books on Twitter. 3 I follow Tidy Books on Twitter. 4 I follow Tidy Books on Twitter. 5 I follow Tidy Books on Twitter. 6 I follow Tidy Books on Twitter. 7 I follow Tidy Books on Twitter. 8 I follow Tidy Books on Twitter. 9 I follow Tidy Books on Twitter. 10 I follow Tidy Books on Twitter. 3 I entered your Mythic® Paint Giveaway.